A Story of Hope and Healing: "My Hope Overcomes My Despair"
"I would never take advantage of this tragedy or these circumstances to preach our faith," Yousef Abu-Salha said in a phone interview. "But what I would like for people to take out of this is that Deah, Yusor, and Razan are good ambassadors and representations of American Muslims. They are role models for our community." 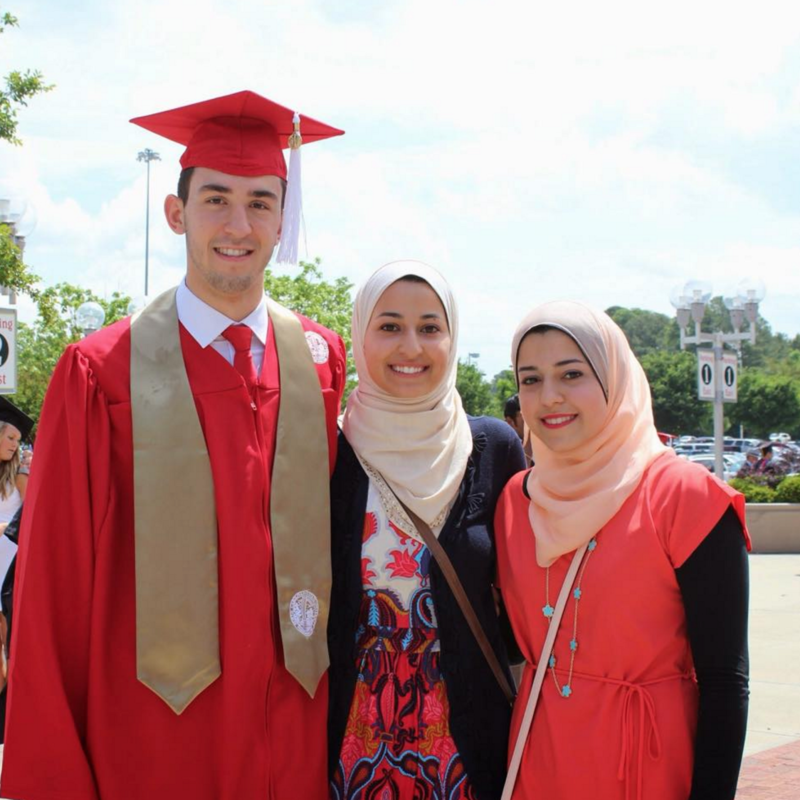 On February 10th, 2015, Yousef's two sisters, Yusor and Razan Abu-Salha, and his brother-in-law, Deah Barakat, were killed in their Chapel Hill apartment in North Carolina. Yusor, who was 21, had just moved into the apartment with her husband Deah, 23, of six weeks. 19-year old Razan had been visiting them for dinner when their neighbor shot them fatally. Deah, Yusor, and Razan on Deah's graduation day. 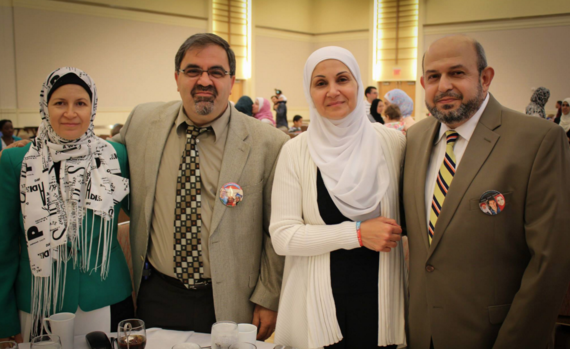 "Deah, Yusor, and Razan are the embodiment of American-Muslim college youth," Yousef said. "They knew what it meant to be American and they knew what it meant to be Muslim, and they did a really good job of meshing the two identities together. Their identity was strong and it's tragic that their story came to light under these circumstances." Deah, Yusor, and Razan were all, as Yousef described them, "social butterflies". They excelled academically and socially and spent their "down time" in acts of community service. "They were always doing service around the area," Abdullah Dorgham, Deah's childhood friend, said. "I grew up with Deah, and one of my last memories with him was helping him package dental supplies before his wedding to distribute to people who were homeless." 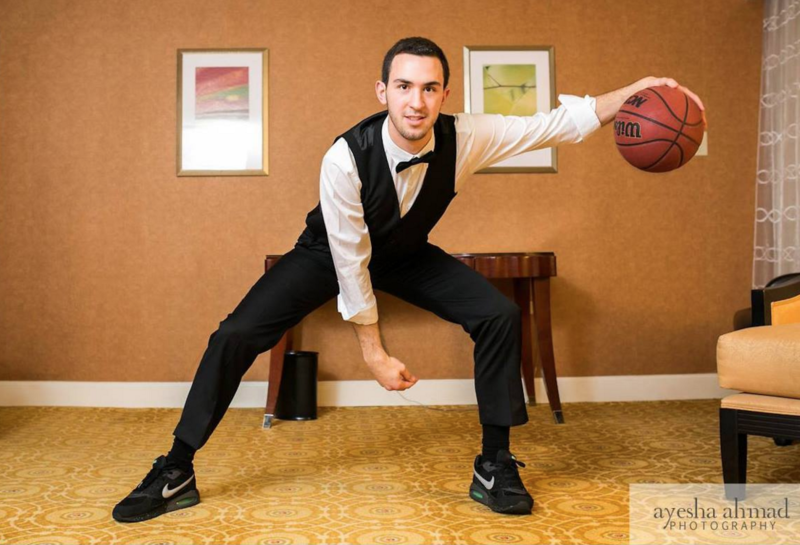 Deah, on his wedding day, reenacting a Stephen Curry pose from an issue of GQ Magazine. 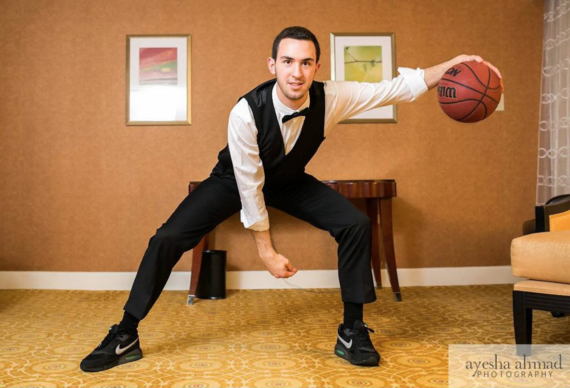 Deah Barakat was a second year DDS student at the University of North Carolina (UNC) School of Dentistry. His wife, Yusor, had just joined the UNC School of Dentistry Class of 2019. Prior to their murder, Deah and Yusor had both traveled to the Turkish-Syrian border to provide dental care and hygiene for Syrian refugees. When they returned to the U.S., Deah started an online campaign to fundraise for more dental relief and care trips. He was killed before he could see his campaign overflow with donations--totaling more than $100,000--and a dental clinic open in Reyhanli, Turkey under his name. "We've been in pain since they left us," Dorgham, who is 24, said. "But right now we're trying to keep their legacy alive. We're telling their stories through their actions." The Abu-Salha and Barakat families, as well as their local communities, mobilized to create an "Our 3 Winners" endowment trust. 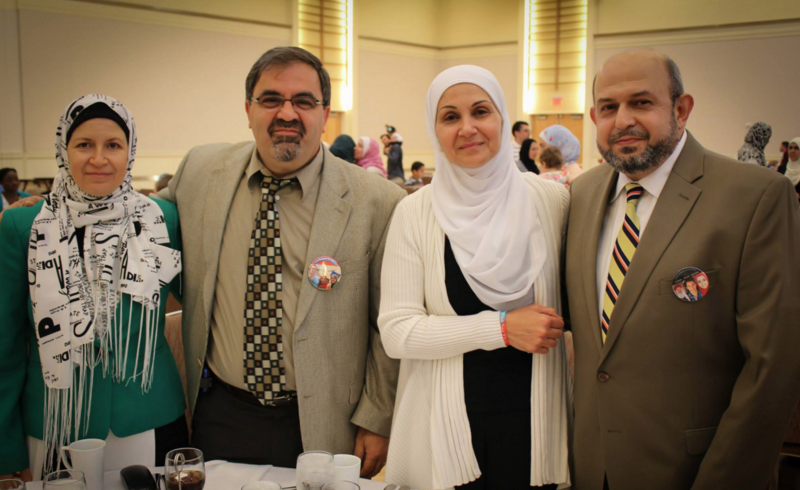 The trust invokes the community service legacy that Deah, Yusor, and Razan--who have posthumously assumed the title "Our 3 Winners"--left behind and raises money for community projects such as education, feeding the homeless, and building safe shelters. The Barakat (left) and Abu-Salha (right) parents at the first "Our Three Winners" Endowment Trust dinner. Deah's brother, Farris, established The Light House Project to create a safe community space and offer non-Muslims an avenue to learn more about Islam. Dr. Mohammad Abu-Salha, father of Yusor and Razan, told Aljazeera Plus that the Light House Project would be "an education process more than a defense process." 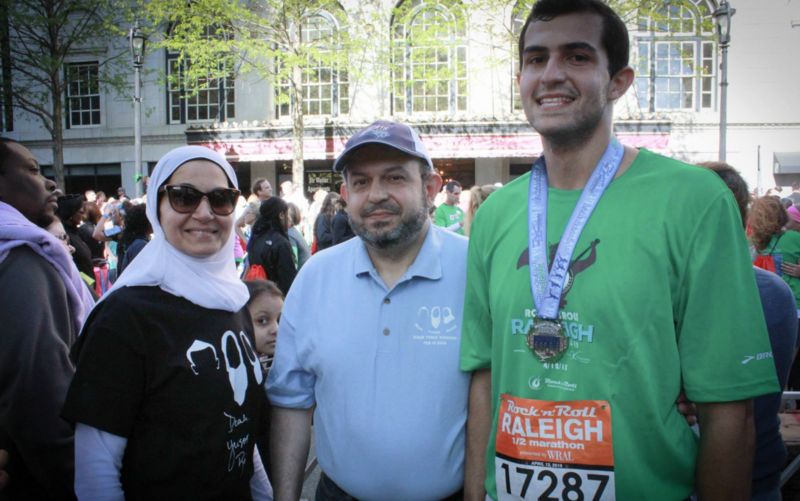 "We also organized a 'Run for ZeeZee' campaign," Yousef said, referring to his sister Razan. "Razan was a runner. She was training to run her first half marathon at the April 2015 Rock n' Roll Marathon of Raleigh, but because she couldn't, we ran for her." 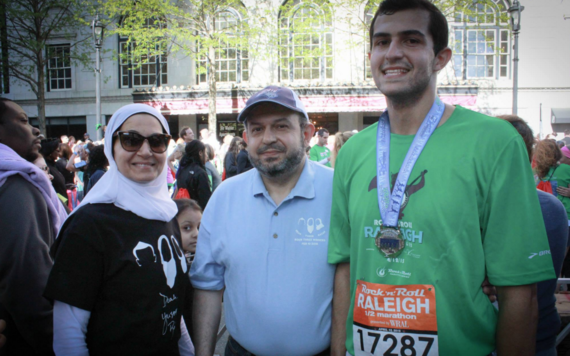 Yousef Abu-Salha and his parents at the "Run for ZeeZee" Rock n' Roll Raleigh marathon. Other charitable initiatives, such as the "Dunk for Deah" and "Our Three Winners Feed Their Legacy", were organized. Yousef emphasized the support that the UNC community demonstrated, especially his class, saying that they treated him "wonderfully, supportively, and empathetically." 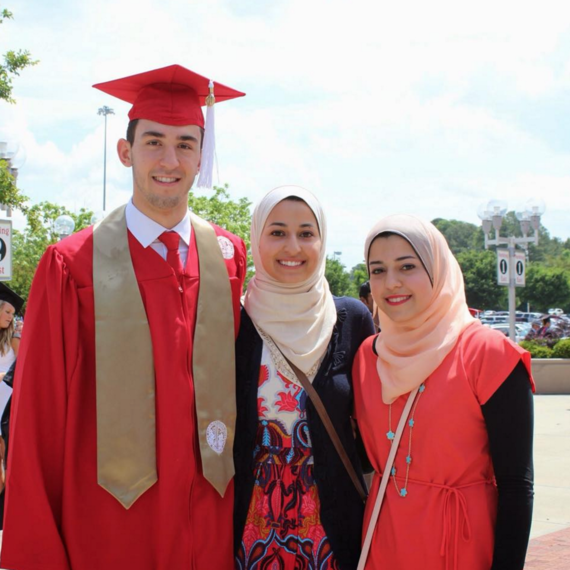 Both UNC and North Carolina Statue University, where Razan studied, established scholarship memorial funds in the names of Deah, Yusor, and Razan each, for a total of six separate scholarships. "To me, these initiatives show not only the goodness that came from Deah, Yusor, and Razan but also the goodness that is coming after them and in their name," Dorgham said. "Their murder is still a very dark cloud for us and it's still painful, but we also believe that there's something we can do for them. It's helped us cope with the misery and it eases my heart." Dorgham believes that the murder of Deah, Yusor, and Razan rekindled an awareness of Islamophobia but he also recognizes that this tragedy has established a greater necessity to fight injustice. "When you see an injustice of any kind, you have to fix it with your speech, your actions, and you have to hate in your heart," Dorgham said. "We used to talk about hate crimes and Islamophobia," Yousef said, referring to himself and his sisters, "but we never imagined that anything of this magnitude would happen. I think this forces us to take better responsibility of educating the public and dispelling hate." "It's been a hard and sad time for us, but the responses we received were overwhelmingly supportive," Yousef said. "My hope overcomes my despair."